The Organisation Undoing Tax Abuse (Outa) says the South African National Roads Agency (Sanral) decision to suspend the collection of all e-toll debt should be taken with a pinch of salt. Sanral on Wednesday says it will no longer pursue criminal action against motorists with outstanding e-toll debt. The decision follows complaints from motorists who received summons to appear in court for outstanding fees. Sanral’s board is believed to have met and taken an urgent resolution on the matter on Tuesday. Its decision follows an initiative led by President Cyril Ramaphosa to address the e-tolls payment impasse. The Electronic Toll Collection (ETC) which collects e-toll fees on behalf of Sanral has issued summons between 2 and 400 000 motorists to appear in court for outstanding debt. “It doesn’t mean to say they’re writing off the debt, it doesn’t mean to say they’ve stopped e-tolls, it doesn’t mean to say that the roads are declared non-toll roads. These are all the things that have to happen for the finality of this e-toll decision to come to an end. “We believe this is a good sign, it signals the end is near, but we need to remain vigilant, we need to remain focused until these roads are declared non-toll roads and government withdraws their fight against society,” says Outa Chief Executive Officer Wayne Duvenage. 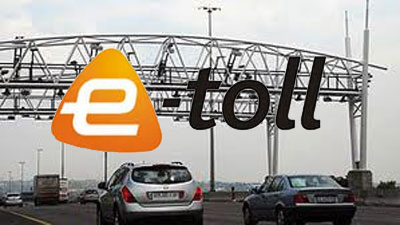 The post Outa welcomes Sanral decision to suspend e-toll debt collection appeared first on SABC News – Breaking news, special reports, world, business, sport coverage of all South African current events. Africa's news leader..